Ultimate comfort, classic style!! Be the envy of any rugby fan when you pull on this RWC 2019 Cotton Graphic Kids S/S Rugby T-Shirt from Canterbury. Crafted from a soft cotton blend fabric of 60% cotton and 40% polyester the Rugby World Cup Cotton Jersey Graphic Tee provides ultimate comfort for any activity. 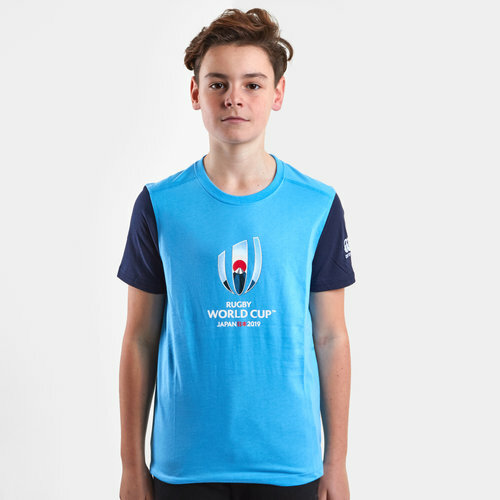 This t-shirt is Laxa Blue with Navy sleeves and is complete with the Japanese RWC event mark graphic.